Yesterday, there was tons of talent in the Open Coed and Open All Girl divisions at the 2019 UCA & UDA College Cheerleading and Dance Team National Championship. Here’s a little bit more about it! For TCNJ, it was a “once and won” performance of a lifetime! 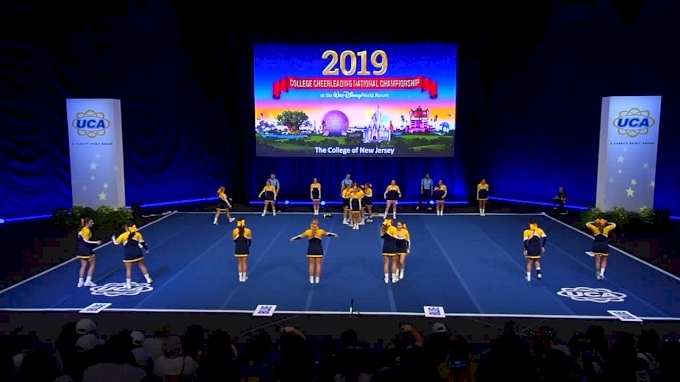 WATCH The College of New Jersey's Winning Routine! For Shelton State, their dominating performance earned them their 12th consecutive national title. 2nd year veteran Nicole Funk said “Shelton has now won 12 years in a row, so the pressure is on us each year to not break the streak.” Nicole explained that hearing Shelton State being called as the national champions is a feeling they will never get used to. “This year was extra sweet because of everything we had to overcome and in the end, all the difficult moments made it so worth it,” Nicole said. Nicole explained that their favorite part of the routine is after their full up, they hit a “U” with their arms instead of a high-v to match the music. “It reinstated our confidence for the second half of the routine and reminded us to have fun with it!” said Funk. Look out for the “U” in their national championship routine below. WATCH Shelton State Community College's Winning Routine! Congratulations to both the Open Coed and Open All Girl National Champions! Stay tuned to Varsity TV for tonight's DIA Coed and All Girl Final performances!